"Pochettino going three-against-three, with Liverpool’s speed upfront, would be hugely risky." Match Odds: Tottenham [3.0], Liverpool [2.54], The Draw [3.7]. Tottenham won this fixture 4-1 last season with a hugely dominant performance, but 11 months later Liverpool travel to Wembley as favourites. Jurgen Klopp's side have made a superb start to the campaign, with four wins from four matches, although this is unquestionably their toughest test yet. As Dimitar Berbatov said in his Betfair column this week, big matches after an international break are often slightly subdued, with players fatigued and managers having little time on the training ground to prepare their players - and the early Saturday kick-off won't help here. Liverpool are always particularly badly affected by internationals, with Sadio Mane, Roberto Firmino, Mohamed Salah, Naby Keita and Alisson Becker all travelling outside Europe. Klopp might need to use his bench to introduce fresh legs later on. Klopp's side are playing so well that there are few question marks about shape or personnel here. Expect the usual 4-3-3, with Firmino dropping deep from the centre-forward role into a false nine position, Salah playing from the right flank and cutting inside onto his left foot, and Mane starting on the left and drifting inside to become a second striker. The only real debate is in midfield, where Jordan Henderson is battling with Gini Wijnaldum for the deepest midfield role. Henderson was a regular there last season, but Wijnaldum's performances this season have been excellent. He started in Keita's role in the 2-1 victory over Leicester but Keita will expect to return here. This means James Milner, so often a back-up hoping to fill in wherever he can get a game, is the most certain of his starting place after a fine start to the campaign. Not playing internationals will help his cause, too. Defensively, Liverpool are much-improved this season with Joe Gomez starring alongside Virgil van Dijk. Trent Alexander-Arnold has got forward well, while Andy Robertson's crossing on the overlap down the left has been a constant threat. Alisson will be looking to atone for his mistake against Leicester with a solid display here. Spurs to return to a back four? Mauricio Pochettino is the manager with more selection issues here. His use of a three-man defence away at Watford didn't help Tottenham defend aerial balls - they lost 2-1 from two headed goals - and it seems likely he'll revert to a four-man defence here. Three-against-three, with Liverpool's speed upfront, would be hugely risky. That means Davinson Sanchez is most likely to drop out, with Toby Alderweireld and Jan Vertonghen at the heart of the defence. Kieran Trippier will have a tough time against both Mane and Robertson, while Ben Davies up against Salah is the individual battle that most favours the attacking player. Spurs were too lightweight against Watford and it would be a surprise if Eric Dier didn't return in place of Mousa Dembele, who was once perfect for pressing-based matches like this, but increasingly looks sluggish. Pochettino used a 4-3-3 in this fixture to great effect last season, with Dele Alli and Christian Eriksen ahead of Harry Winks. That seems the best format here, though a personnel change will be needed with Alli ruled out with injury. Harry Kane doesn't look at 100% but will continue to lead the line. Lucas Moura would partner him in the 3-5-2, but in a probable 4-3-3 will be fielded from the right flank. Son Heung-min could make an immediate return on the left after returning from extensive international duty. Michel Vorm will continue in goal. This match seems to be about two things. First, which side can get the better of the midfield battle. Tottenham outclassed Liverpool in this zone last time, but with Liverpool's added strength and mobility this time around, it feels like the away side will be on the front foot. Second, which wide players will win their individual duels. Mane has caused Spurs problems in the past, and Salah against Davies seems like something of a mismatch. I fancy Liverpool here, albeit perhaps not at such short odds. Salah to open the scoring at 4/1 looks a better bet. 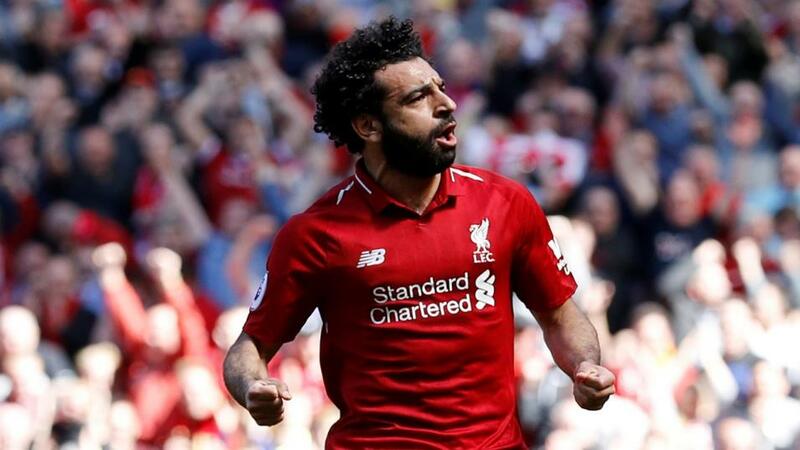 Liverpool are looking to continue their 100% record this season but it won’t be easy against a Tottenham side that are looking to get back on the winning trail after losing at Watford last time out, despite taking the lead in the second half. This is often a fixture that entertains, the last nine meetings between the sides in London has produced 28 goals, an average of just over three goals per game, and with both sides having already struck nine times in four games this promises to continue the trend. Both Over 2.5 goals [1.75] and Both Teams To Score [1.6] are not surprisingly trading odds on for this one, I was attracted to both markets but not at those prices. Spurs ran out comprehensive winners of this fixture last season (4-1) but I don’t see that happening again this time. Liverpool have sorted out their defensive issues since then and have only conceded the one goal so far this campaign. I think Liverpool may just have the edge in this but rather than back them in the Match Odds market, I will be backing them with a bit of safety in mind, using the Asian Handicap market Liverpool 0 & -0.5 at [2.2] that way only giving up half my stake if the game finishes level.